Acclaimed guitarist James Byrd sort of returns to action with a new release of old archive recordings dating back to the immediate days following his departure from melodic power metal pioneers Fifth Angel. 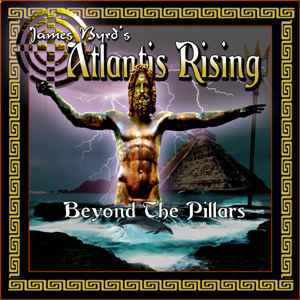 This new 14 track release – “Beyond The Pillars” – represents alternative earlier versions of 7 tracks that would appear on his Shrapnel solo debut, the self titled “James Byrd’s Atlantis Rising”, along with 7 new previously unreleased numbers. Of course a killer guitarist is often nothing without a great vocalist and here Byrd is joined by the powerful vocals of Freddy Krumins, a disciple from the David Kyle school of vocal training so if you like vocals along the lines of Geoff Tate etc then step right in. Fellow Fifth Angel alumni Ken Mary handles the drum work with characteristic precision and with bass from Tim Cook this is one cooking band. Those that are familiar with Byrd’s output know him to be a master of guitar, but also a rather handy songwriter which the material here in testament to. Granted the sound might be rougher than what we are generally used to these days but when you consider the source of this material being long presumed lost tapes recorded as “demos” back in 1987 the quality is more than acceptable. 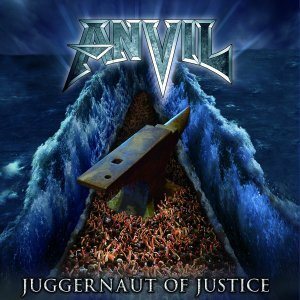 The tracks featured on the aforementioned JBAR debut back in the late 80’s here still sound fresh, full of energy and with a raw edge that makes them sound more aggressive and dare we say it better versions. Byrd’s guitar work here is also more cutting and “go for the throat” than what has until now been available. These tracks are all excellent slices of melodic metal with some neo-classical touches. The vocal melodies are also strong being the perfect balance between commercial and musical, infectious is one way to sum up these tracks. The never before heard tracks are a nice mix of material. Opener “Chasing The Shadows Away” and “Stranger In The Night” continue right where the debut Fifth Angel album left off and should be essential listening to fans of FA. Byrd then serves up a poppier side to his art with two well crafted commercial rock tracks in “I Don’t Believe In Love (Falling In Lust)” and “On My Mind”. The former possesses a hook that could easily grace any Van Hagar release and its nice to hear Byrd thrown down some major key licks. The latter is really quite different to anything heard from Byrd before. Commercial for sure, yet with a certain L.A. feel to the sound, again excellent vocals and guitar combine to euphoric heights. A delicate ballad is served up in “Gotta Find You” and this is a good fit with the material ultimately heard on the JBAR album. Album closer “Requiem Atlantis” is a fine instrumental offering, with the first half acoustic before Byrd’s electric guitar melodies soar for the second half. The only odd curveball in the proceedings is the dark vocal/keyboard possessed piece that is “Waiting in The Shadows”. To be fair I could do without the track but from a collectors point of view it’s nice to hear. Overall “Beyond The Pillars” is in light of any brand new material from Byrd a welcome stop gap that shows his reputation in the 80’s was well earned and this is a very good package indeed. Fans of quality hard rock/metal are advised to check out this archive release and fans of Fifth Angel especially so given the recent farce surrounding that bands reformation attempts of the last couple of year (from which it is noted Byrd has distanced himself from). This entry was posted in Reviews and tagged Beyond The Pillars, Fifth Angel, Freddy Krumins, James Byrd, Ken Mary, review. Bookmark the permalink. Before I start this review I want to go on record and say that Def Leppard were one of the main reasons I got into rock music back in the mid 1980’s. Their first four albums are all top notch despite the stylistic change over the albums. Decent songs will always be decent songs no matter how they are packaged and I can honestly still enjoy anything from those albums in 2011. That said aside from a few numbers on “Adrenalize” I haven’t cared for anything the band have done in almost 20 years, where the emphasis on the studio albums seemed more about staying “current” and the bands starting sounding more like anyone as opposed to Def Leppard. Sales figures suggest the buying public also thought so. Where the likes of Bon Jovi have gone from strength to strength, Def Leppard have faltered in the publics eyes if the charts and more tellingly singles charts are to be believed. That said despite diminishing returns on album sales the live shows have still been packing them in worldwide and its perhaps surprising its taken roughly 25 years for their first live album to see the light of day. To sweeten the deal there is the added incentive (possibly) of three new studio cuts in “Undefeated”, “Its All About Believin” and “Kings Of The World”. Perhaps not surprisingly the track listing plays it safe with all the big hits as well as the better known tracks that didn’t dent the charts. All is good on this front and as you would expect but the first thing to hit you is how stale this album sounds. 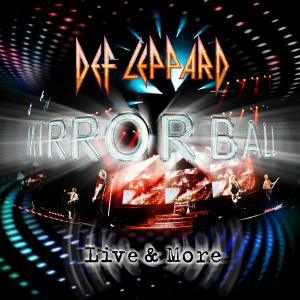 Joe Elliot has never been the best live vocalist but actually sounds half decent here. The problem is more the digital sounding overly effected guitar work, where the live feeling is really taken out of Def Leppard arena. The only thing to make you think this isn’t the studio albums with some hall reverb thrown on and a different vocal track from Elliot is Phil Collen’s apparent need to shred sloppily and often out of key whenever he can squeeze a few extra notes into an arrangement. Vivian Campbell by contrast is mostly faceless to the point of despair. If he still possesses the chops he owned in Dio he can eat Collen for breakfast in the technique department and its only really on the excellent instrumental “Switch 625” do we get to really hear him dig into the strings. Presumably the pay cheque is enough to make him overlook the fact that he could be pushing the band into new areas. For the most part there is nothing here to really challenge the studio versions in terms of live excitement. On a positive side it’s nice to hear “Too Late For Love” in the live arena, and the acoustic rendition of “Bringin On The Heartbreak” is well done but not much else really excites this listener. Of the 3 new tracks there is not much here to get too excited about. “Undefeated” is decent enough but you get the feeling it’s being held back on a leash half the time. The ballad “Kings Of The World” sees the band trying to be Queen but Joe will never be Freddy Mercury. The track comes across more as a tribute to Queen than a bona-fide Leppard tracks, that said its better than anything on the last couple of studio albums. Album closer and final newie “It’s All About Believin” is stock AOR with a chorus key change that never really sits right with the verses. All the Leppard trademarks are here i.e. arpeggiated chords and BIG harmonised vocals but ultimately its rather bland. Overall “Mirrorball” is somewhat of a let down. Sure it will probably appease the bands main fanbase who might well want to hear tracks played as per the albums with little variance, nor indeed will notice Collen’s sloppy guitar work but for those of us that like to hear new things in the live arena its all rather safe, bland and ultimately dull. I really wanted to like this album. I really want Def Leppard to rediscover their early fire, forget about trying to chart and just rock again but I don’t think the band have that in them anymore and ultimately I am left disappointed in more ways that one. This entry was posted in Reviews and tagged DefLeppard, Frontiers Records, Joe Elliott, Mirrorball, Phil Collen, review, Vivian Campbell. Bookmark the permalink. In what has seems to be somewhat of a trend amongst record labels since the terrible earthquake and tsunami that hit Japan in March 2011 here we have the first benefit album to be announced in the metal community from Lion Music. Whilst it may not have been the first to be released when you delve into its 2CD contents you realise that perhaps more care and true feeling has gone into this release than many of its ilk. For starters the vast majority of the material here was written specifically for this release which sees all label, publishing and artist royalties being donated to the Japan Red Cross. This key difference to many other benefit albums (which you felt just culled together any old unreleased tracks from artists to get it out as quickly as possible), “Embrace The Sun” lends a higher quality of material, not to mention a more personalised and sincere sound to the music on offer. With 28 of some of Lion best known names contributing there is a plenty to enjoy here across a wide spectrum of artists on the labels roster with tracks coming from Mattsson, Iron Mask, Anthriel, Dreyelands, Mastercastle, Overdrive and Section A amongst others. Guitar fans are well catered for with tracks from Milan Polak, Jennifer Batten and Marco Sfogli not to mention the closing guitar jam track which sees contributions from notables such as Francesco Fareri (Virtual Mind), Daniel Palmqvist (ex The Murder Of My Sweet), Simone Fiorletta (No Gravity), Dave Martone and Borislav Mitic. Highlights are often and plentiful making this 28 track collection a real joy to listen to. Personal favourites include Milan Polak’s excellent “End Of Time” sees guest appearances from Kip Winger, Ron Thal, Pete Lesperance, and Harry Hess, whilst Dreyelands continue the excellent work heard on last years debut with new track “Life Is Worth The Pain”. Mastercastle throw a trademark metal slant on the album with “Sakura” which has a great vocal performance from Giorgia Gueglio. MindSplit serve up a tender ballad in “Guardian Angel” and this really strikes a chord of how the devastation seen in Japan has hit people worldwide. Emir Hot contributes the epic “Fear Of The Storm” with orchestra and backing choirs adding depth to the track whilst Iron Mask see a successful outing with vocalist Carsten Schulz at the mic for “Sons of the Sun”. The album also showcases some home-grown Japanese talent in new label signing, progressive rockers Early Cross whose melodic prog rock is a classy number, whilst the direct influence of the aftermath in Japan can be heard on Jennifer Batten’s track “Sakura Season” was written after her visit to the country in April 2011. Despite highlighting these tracks there are moments of enjoyment in all tracks and congratulations go out to all involved. 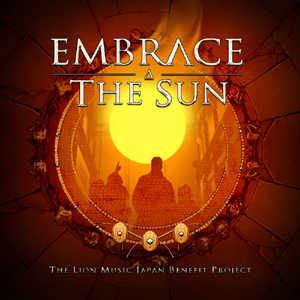 Overall “Embrace The Sun” not only manages to hopefully make some good money to aid with the recovery in Japan but also serves as a strong compilation album full of great tracks, musicianship and comes highly recommended. This entry was posted in Reviews and tagged Airless, Anthriel, Ashent, Astra, Benny Jansson, Compilation album, Dreyelands, Early Cross, Embrace The Sun, Emir Hot, Giorgia Gueglio, Gronholm, Infinity Overture, Iron Mask, Japan, Jennifer Batten, Kip Winger, Lion Music Japan Benefit Project, Locomotive Breath, Marco Sfogli, Mastercastle, Mastermind, Mattsson, Milan Polak, MindsSplit, Missing Tide, Mistheria, Overdrive, Pete Lesperance, review, Section A, Status MInor, Tomorrow's Eve, Venturia, Winterlong. Bookmark the permalink. Sun Caged, the Dutch progressive metallers with two impressive albums already under their belts return after a four year absence with “The Lotus Effect”. This new album sees the band consolidate their sound in fine style with an album that’s clocks in at over 70 minutes across 14 tracks and has been well worth the wait. 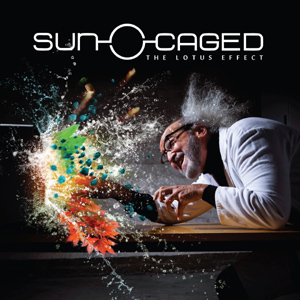 “The Lotus Effect” sees Sun Caged deliver not only their heaviest album to date, but also their most varied with a lot of different musical textures adding to the big riffs coming out of guitar master Marcel Coenen’s guitar. The melody is high in most numbers, aided by Paul Adrian Villarreal’s distinctive and impressive vocals and Rene Kroon’s keyboard work also covers a lot of ground. New bassist Daniel Kohn has also formed a formidable rhythm unit with drummer Roel van Helden. Opener “Seam Ripper (and the blanket statement)” is an 8 minute stunner which perfectly characterises Sun Caged unique take on prog metal. “Tip-Toe the Fault-Line” and the blinding “Shades Of Hades” (see audio player above) deliver a more straight-ahead delivery with potent riffs and strong choruses. The melody is high in numbers such as “Ashes To Earn” and the 10 minute epic “Pareidolized (The Ocean in the Shell)” which is a stunner pure and simple. Elsewhere the quality is exceptionally high. Whilst the album takes several spins to full reveal itself the listener is rewarded further with each passing play – and this is a release you will find yourself coming back to. “The Lotus Effect” may have taken some time to see the light of day, but its Sun Caged finest release thus far and an essential slice of progressive metal. For those fed up of the hundreds of Dream Theater and Symphony X clones check out this album for a refreshing and original take on the progressive metal genre. This entry was posted in Reviews and tagged Dream Theater, marcel coenen, Progressive metal, review, sun caged, Symphony X, the lotus effect. Bookmark the permalink.